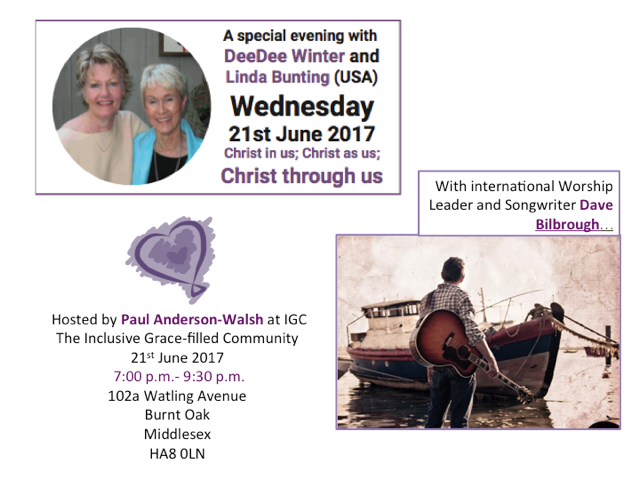 Paul Anderson-Walsh and IGC are pround to be hosting a special evening with DeeDee Winter and Linda Bunting with worship led by Dave Bilbrough. We will be exploring Christ in us, Christ through us, and Christ as us. how may i listen in? Hopefully, the talks will be recorded and uploaded shortly afterwards.